Senior Care Support Services, formed to offer a bespoke and affordable resource in your search for the right care solution. Our dedicated service offers a caring, whilst knowledgeable solution with legal, financial and holistic support to ensure informed decisions can be made at what can be a very emotional and critical time. We commit to operate in your best interest to ensure the most appropriate later life care solution is achieved, whether it is domiciliary care in the home, short or long term respite or a permanent move into an appropriate care home setting. Our services, tailored to your actual needs, focus on arranging good quality domiciliary care or finding an appropriate care home setting. This may involve working with social work teams, hospital discharge teams and other professional services on your behalf. Click the links below to find out more about the services we can offer you and your family. Senior Care Support Services understand how difficult it can be finding a quality domiciliary care agency to support your needs in the home. We have therefore introduced a tailored range of services that should help you during what can be a difficult and complicated time. Our flexibility is matched by our excellent customer service, expert advice and level of support. Although the service is very much focused on your needs, we have outlined below an indication of how we can help you sourcing the right domiciliary care package in your home. Research to identify suitable agencies that can meet your needs. Accompanied visit with the agency when they visit you to assess suitability. Arrange to be available at the home or hospital when the care assessment takes place, where appropriate. Arrange a follow up visit or phone call within the first month to ensure our client is satisfied with the level of care provided. Links to other professionals such as independent financial and legal advice where appropriate, having carried out due diligence on these advisors prior to making recommendations. Funding and Benefits Advice inc. Attendance Allowance, Full Nursing Contribution (FNC) and Continuing Health Care Contribution (CHC). Senior Care Support Services understand how difficult the care process can be. Finding the right residential care home, at what can be an emotional and stressful time will be extremely important to you and to us. Finding a care home that allows a resident to ‘age in place’ can also be very important. Our level of support and flexibility in helping you through this process is matched only by our customer service and personal approach. We commit to operate in your best interest to ensure the most appropriate later life care solution is achieved and have listed below an indication of how our service can support you. This may be a requirement for a residential, nursing, dementia care, dementia nursing or complex behavior care home. Full and detailed initial consultation to establish our client’s needs and offer specialist advice to ensure the most appropriate placement is achieved. Research to identify suitable accommodation that can meet the level of care required now and in the future alongside any other criteria specified during our discussion. This is then reported back to our client including any additional information that helps you make the right choice. Accompanied care home visits to include tour and meeting with appropriate staff. We can provide you with a checklist that you can refer to, to ensure suitability at the home. Arrange care assessment and be available where appropriate. Be available to attend and assist on day of ‘move in’. This can be a very emotional and critical time for the new resident and their family. We put in place procedures that can help smooth the transition from home or hospital to care home. A follow-up visit within the first month to ensure our client, or client’s family members, has settled and to address any concerns that have arisen during that first month. We can also arrange to be available to support our client should any follow up meetings during the first month be required. Introduction to independent financial and legal advice as appropriate. 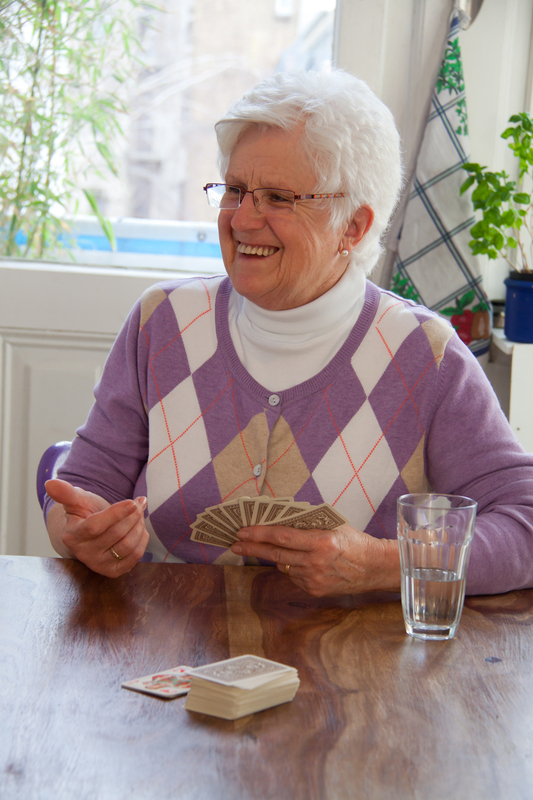 Senior Care Support Services understand how difficult the care process can be. Finding the right nursing home that can meet complex and ‘end of life’ care needs can be a challenge. All this during what can be an emotional and stressful time will be extremely important to you and to us. Our level of support and flexibility in helping you through this process is matched only by our customer service and personal approach. We commit to operate in your best interest to ensure the most appropriate later life care solution is achieved and have listed below an indication of how our service can support you. Research to identify suitable accommodation that can meet the level of nursing care required now and in the future alongside any other criteria specified during our discussion. This is then reported back to our client including any additional information that helps you make the right choice. Accompanied nursing home visits to include tour and meeting with appropriate staff. We can provide you with a checklist that you can refer to, to ensure suitability at the home. Senior Care Support Services understand how difficult the care process can be. Finding the right dementia care home setting, at what can be an emotional and stressful time will be extremely important to you and to us. We also understand that finding a dementia care home setting that allows a resident, on their journey with dementia, to ‘age in place’ will, be extremely important and a priority in our search on your behalf. Our level of support and flexibility in helping you through this process is matched only by our customer service and personal approach. Research to identify suitable accommodation that can meet the level of dementia care required now and in the future alongside any other criteria specified during our discussion. This is then reported back to our client including any additional information that helps you make the right choice. Cost: On application and dependent on individual requirements and location. Senior Care Support Services understand how difficult the care process can be. Finding the right dementia care home setting, at what can be an emotional and stressful time will be extremely important to you and to us. We also understand that finding a dementia nursing care home setting that allows a resident, on their journey with dementia, to ‘age in place’ and to meet their needs as this journey progresses will, be extremely important to you and a priority in our search on your behalf. Our level of support and flexibility in helping you through this process is matched only by our customer service and personal approach. We commit to operate in your best interest to ensure the most appropriate later life care solution is achieved and have listed below an indication of how our service can support you. mmit to operate in your best interest to ensure the most appropriate later life care solution is achieved and have listed below an indication of how our service can support you. Regular unannounced visits to the home of choice to ensure continuity of care are in place for our client, on a weekly / monthly/ quarterly basis. **These services may involve additional costs. Finding good quality respite care can present families or individuals with a real challenge. Availability, location, cost, the length of time a home can keep a short term resident for and all the implications of a stay can cause frustration and added anxiety. Senior Care Support Services understand how frustrating this can be and are on hand to help you through this process. We commit to operate in your best interest to ensure the most appropriate later life care solution is achieved. Full and detailed initial discussion to establish client needs and offer specialist advice to ensure the most appropriate placement is achieved. Specialist research to identify suitable accommodation and / or care options based on initial meeting criteria and report back with findings. Accompanied care home visit to include tour and meeting with appropriate staff either prior to admission to hospital or following treatment if practical. Arrange care assessment with the home of choice. Moving into a new care home setting can be unsettling for both the individual and family with many emotions and loose ends. In our experience when a person has been living in their own home for a number of years, with the accumulation of many personal possessions and memories, a move can seem an extremely daunting and stressful process. Sometimes a family support network is not readily available. Liaising with local solicitor in respect of conveyance of the property. Senior Care Support Services realise that a move into a care home does not necessarily complete the whole picture for a family or couple. We understand that families have busy lives, other commitments on their time or just don’t live locally. We have therefore introduced a support service that may help you in taking away some of the pressure and stress trying to juggle your busy life. Our range of services are flexible and we would be happy to discuss the level of support that you require in looking after the needs of your friend or family member living in care. Prior to move in – accompanied visits to care home with a potential resident to enjoy social activities, events, hairdresser, etc. which may help smooth the transition from home to care home when the time is right. Following a move into care – regular unannounced visits based on client’s requirements to ensure care and social needs are being met by the care home. This may be on a weekly, monthly or quarterly basis. Social visits to client within the care home setting. This service can be flexible and may be taken up when the client’s family have other commitments or are on holiday. Ad hoc Shopping Trip for resident based on client’s needs, i.e. toiletries, clothing, incidentals, etc. “Dear Geraldine, Thank you so much for all the hard work that you put in to finding the right care home for my mother”. I can’t begin to think of how we would have managed dealing with all the issues that the move threw up without your support and guidance.“.